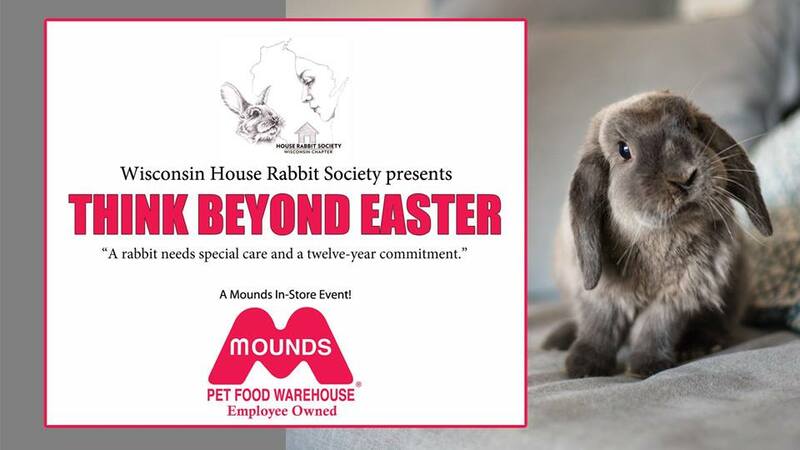 Volunteers from the Wisconsin HRS will be present at four Mounds pet supply stores in South Central Wisconsin over two Saturdays before Easter: April 13th and 20th from 10 am to 2 pm. They will have information about adopting and caring for rabbits. They will also be spreading the Easter message that rabbits are not Easter novelties but a 12-year commitment.